This is a different sort of golf book. 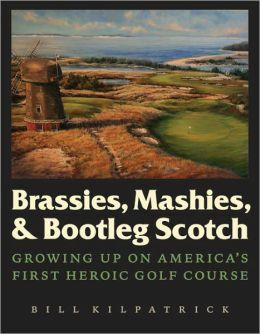 It’s not about golf itself or any specific golf course per se, but is an interesting collection of stories with National Golf Links of America as the backdrop. Bill Kilpatrick’s father was a skilled and respected greenkeeper back when golf was just beginning to pick up momentum in the United States who landed a job caring for C.B. Macdonald’s masterpiece National Golf Links. Bill’s family lived on the grounds at National and as a young boy he entertained himself by spending his free time helping with course maintenance, hanging around with the staff, and his most beloved of all activities – caddying. The collection of stories covers a wide variety of topics from changes in turf maintenance and the artistry of a handmade wooden golf club to eccentric NGLA members of the period. Kilpatricks stories are at times humorous, enlightening, sad and even creepy, but they are always entertaining. This book is an easy and fast read that I finished in just a few hours. Highly recommended for a look back in time at the way golf used to be.